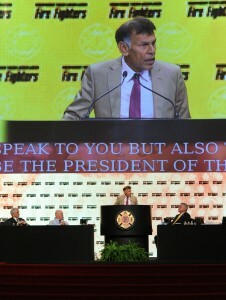 The labour movement has scored some great victories, but needs to reconnect to its members and to the public in order to face the big challenges that lie ahead, Canadian Labour Congress (CLC) President Hassan Yussuff told delegates in a blistering speech Thursday at the IAFF 52nd Convention. Yussuff, a tireless advocate for workers and the middle class who was elected CLC president in May after a long history of involvement in the labour movement in Canada, said labour needs to stop “playing defense” in the face of tremendous attacks by governments and big business and go on the offense. “We must start pushing back in a very aggressive way,” he said, adding those who elected him agreed with his bold approach and the need to get support from not only union members but from the public to fend of these attacks. “Because these attacks that we’ve been faced with in Canada have been quite vicious, and fundamentally we cannot lose any more ground in our country, we’ve got to grow our movement and we’ve got to be even bolder,” he said. He rallied delegates with strong talk about the fact that 12 million Canadian workers don’t have a pension that allows them to retire with dignity after a lifetime of working, unlike the politicians and CEOs who are calling the shots and who are telling workers they don’t need full time jobs, pensions, benefits and two-tier wages. 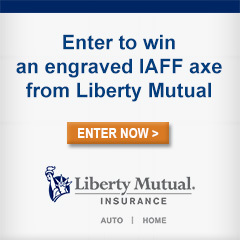 Yussuff cited the recent election defeat of the Ontario Progressive Conservative Party and leader Tim Hudak as evidence that union members and all workers are starting to understand the impact that parties’ policies have on them, and sent a message to all right-wing parties in Canada that workers are paying attention. But at the federal level in Canada, Yussuff cited a Conservative government that has attacked union rights and even floated the idea of right-to-work for federal sectors. He talked about the valiant fight against Bill C-377, which would require Canadian unions to spend millions filling out detailed financial reports about their spending, with that information made public for right-wing organizations to use to attack them. “Yes, it is true that our members are entitled to know how we spend their money,” he said. “But it’s not the right of our enemies to use that information to attack us and destroy us. We have worked tirelessly of course to defeat that bill – it’s now sitting in the Canadian Senate – and rest assured sisters and brothers we will do everything to ensure it never becomes law in our country, in Canada” he said to cheers. 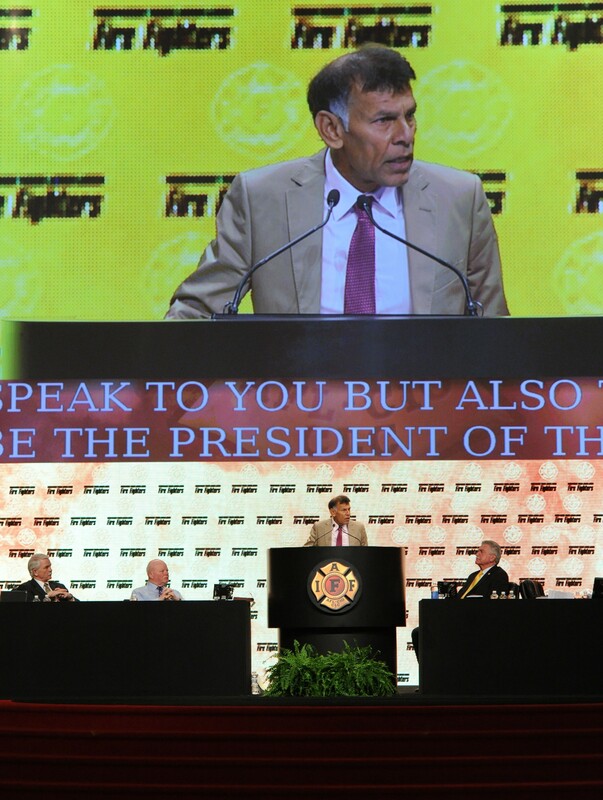 Yussuff, who attends the Canadian Legislative Conference annually, commended the IAFF for its political action in Canada and the United States, especially the ongoing contact that takes place with politicians between elections.